This grain free dog treat recipe is jammed packed with protein, antioxidants, minerals and fiber which all come from the Buckwheat. The Flax seeds are an excellent source of plant-based essential omega-3 fatty acids. You can find these ingredients at your local store and health food stores. Also you can find them in the "organic" section of your stores. Note: Buckwheat and Flax Seed are actually seeds and often confused as a grain. In a large mixing bowl put the buckwheat flour and ground flax seeds. Add the pumpkin puree, eggs, and chicken or beef stock to mixture. Using an electric mixer, beat all on high until the mixture is smooth - the mixture will be very thick. Using an tablespoon, drop rounded mounds of mixture on baking sheet. Use a fork to press down on the top of the mounds, kinda like how you would do for a peanut butter cookie, until they are around 1/4" thick. Dip your fork in water frequently to prevent from sticking. Small Dog Size: Use a teaspoon to drop onto the baking sheet, continuing with the fork to press down. Bake for 20 minutes. Remove from the oven and turn the dog treats over and return to oven to cook for another 20 minutes. The cookies should feel hard to the touch when done. Cool completely on a cooling rack. Note: Your small dog Size will take less time to cook, so keep a watch on them. Every oven cooks differently, but I usually cook them for 10 minutes on each side. Once completely cool, store the grain free dog treats in an air tight container. 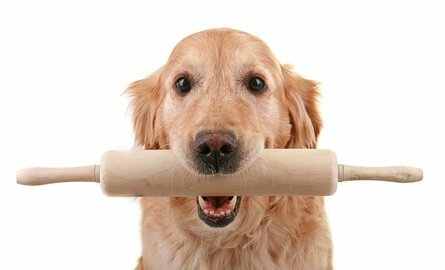 Don't think you need to make the entire batch of this grain free dog treat recipe? No problem, divide the dough in half, put half of the dough on saran, flatten it out, then wrap tightly in saran and place in a freezer bag. When your ready, thaw and cook as above. Why flatten the dough? I do this to everything (human and dog) doughs, sauces etc. because it defrosts much faster than if left in a big ol ball. 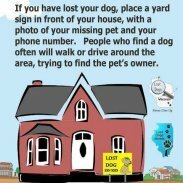 Your dog is waiting for you. . . .